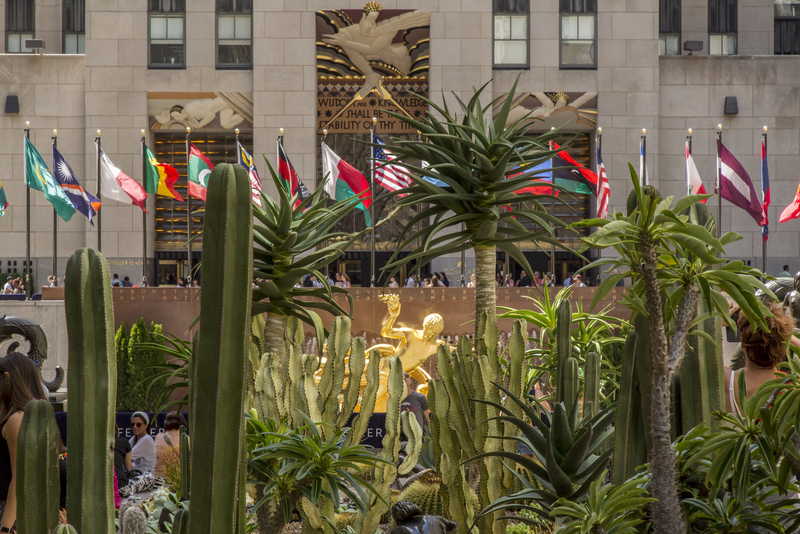 For the month of June 2016, Rockefeller Center's Chanel Gardens will be filled with a cactus garden designed by Lifescapes International. Titled Sunscape, the garden features dozens of exotic cacti reaching as high as 16 feet tall as well as a variety of succulents. The species planted in the desert gravel beds include the Monstrose Apple, Golden Barrel, African Ocotillo, and many more. The installation starts at Fifth Avenue and runs toward the ice rink at the base of the iconic Art Deco 30 Rock skyscraper.